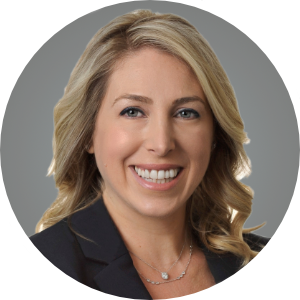 Dana is a Senior Vice President with JLL’s Capital Markets team and heads up JLL’s Capital Markets division for Multifamily and Mixed Use investment sales in the Greater Los Angeles region. Dana has been a trusted and respected advisor to many owners over almost 15 years. With over $300M in assets listed and sold, Dana is a well-known expert in the marketing and sale of Multifamily investment and redevelopment projects. Dana began her career at CBRE as the head of Business Development for Team Lustig-Bower and quickly distinguished herself as a rising star. She went on to become an associate at Marcus & Millichap and received an award for high level of closed transactions. In 2007 she joined Grub & Ellis as an Associate Vice President where she was the #1 Multifamily broker for Grubb & Ellis nationwide two years running. She was also recognized by Real Estate Southern California magazine as one of the top “30 under 30” for her achievements there. Prior to joining JLL, Dana was an Executive Managing Director at Commercial Asset Group where she was named Broker of the Year for having the most sales and highest gross commissions in the company for the calendar year. She was also named a “Rising Star” by C.R.E.W. Los Angeles and was honored at their “Women at the Top” event.